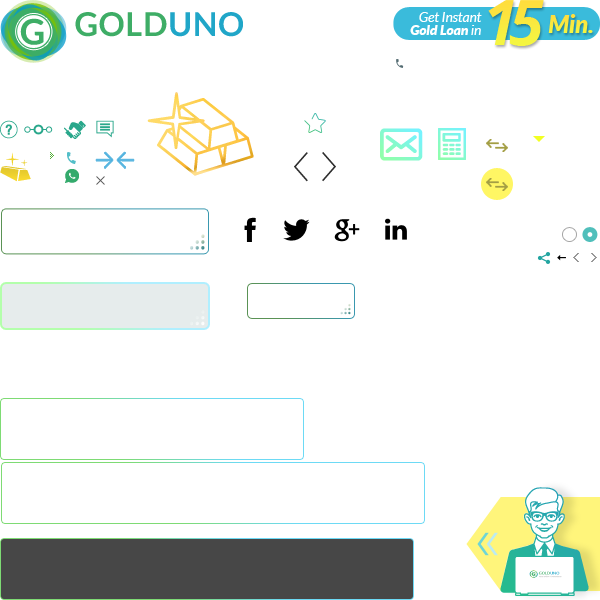 GoldUno intends to provide clear information about banking products and services. The information and data in the Website are generic in nature. Our efforts are to offer accurate and responsible data. We are not responsible for any sort of discrepancies. There is no purpose of violating any copyright or intellectual copyrights issues. All information provided on the portal GoldUno is subject to the discretion of the same and is likely to change without any notice. Though, any changes in public utility will be communicated immediately in our portal. We have tried to maintain high standards in quality, clarity, and accuracy of the material posted on the portal. GoldUno is not legally responsible for the same in any matter whatsoever. Employees, partners, and associated staff of GoldUno are not accountable for any loss, harm, or damage due to usage of information from the portal. Customers are advised to use their own discretion in such matters. The information provided on the portal is of financial, insurance, and legal nature. It is a mutual understanding that customers association with the portal will be at the customer's preference and risk. Visitors to this Website/portal and every third party is hereby informed that the owners of this Website/portal, viz., Vinrak Technologies Pvt Ltd., are the intermediaries of the banks and financial services companies, whose products are dealt with in this Website/portal. it is made abundantly clear that Vinrak Technologies Pvt. Ltd, its directors, shareholders, officers and employees and GoldUno.com are in no way responsible or liable for any one for his/her investment or credit buy decision(s) (availing any kind of loans or taking credit card through us), and every prospect/loan seeker/ investor/policy-holder shall be solely responsible for the consequences of his/her decision(s).